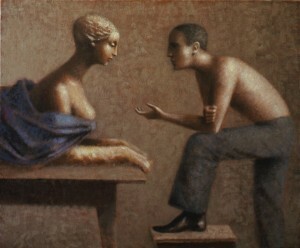 The featured painting for May 2012 is entitled “Man with Statue”. New information about this painting has been received from the owner including the year created and its dimensions of which both the website and archive have been updated. 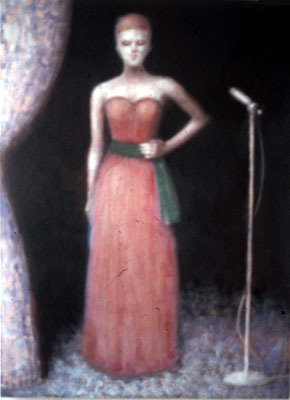 This painting resides in France in a private collection.